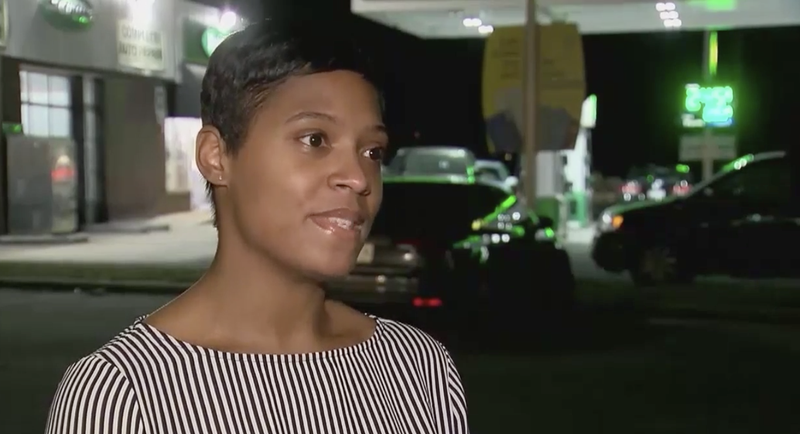 A Maryland woman is getting the support of an entire community after an employee at a local BP service station hurled racial slurs at her. According to WJLA-TV, last Thursday, Rachel Sherman went to the Largo, Md., service station to confront the individual who was doing state vehicle inspections about attempting to overcharge her younger brother, who was having his vehicle reinspected. “My brother called me and said, ‘Well, the guy is telling me it’s $100 and it’s cash only.’ I said that didn’t sound right,” Sherman recalled. Of course it wasn’t. The inspections usually have a price tag of $30 attached to them. “And as I turned to walk away, his exact words to me were, ‘And we usually charge niggers more,’” Sherman said. Shaken by hearing that slur, Sherman recorded how she felt about the ordeal and shared it on Facebook. Of course, from there, the video went viral. “I felt like I had literally been stabbed through the chest,” she told the news station about her reaction to hearing the slur. But the support she has gotten since has given her confidence. The employee was fired the day after the incident, the owner of the station publicly apologized to Sherman, and now there are rumblings in the community calling for a boycott of the business. “To see the entire community come behind me and say we are not going to let this happen to you or anybody else, it empowered me,” Sherman said. Both Sherman and Ward hope that this incident will encourage BP to play a more active role in supporting the community.